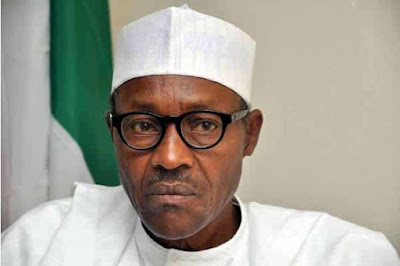 President Muhammadu Buhari on Sunday said as far his administration’s ongoing anti-corruption fight is concerned, the nation’s judiciary remains his major headache. He said the fight against corruption in Nigeria could only be effectively tackled with the strong support of the judiciary. According to a statement by his Special Adviser on Media and Publicity, Mr. Femi Adesina, the President spoke in Addis Ababa at a town hall meeting he had with Nigerians living in Ethiopia. He said far-reaching reforms of the judiciary remained a key priority for the present administration. Buhari said his travails in courts up to the level of the Supreme Court in his three previous attempts at becoming the President were clear indications that the judiciary needs urgent reforms. The President said, “On the fight against corruption vis-à-vis the judiciary, Nigerians will be right to say that is my main headache for now. “If you reflect on what I went through for 12 years when I wanted to be the President, I attempted three times and on the fourth attempt through God and the use of technology, it was possible for Nigerians to elect an APC candidate as President. “In my first attempt in 2003, I ended up at the Supreme Court and for 13 months I was in court. The second attempt in 2007, I was in court close to 20 months and in 2011, my third attempt, I was also in court for nine months. The President however assured members of the Nigerian community that with the support of the Chief Justice of Nigeria, Justice Mahmud Mohammed, he would continue to do his best to improve the nation’s judicial administration system.